The G rating is not a “certificate of approval,” nor does it mean that it’s a children’s film. There’s a thin blurry line when it comes to ratings and often times it can get confusing. Films such as ‘ Up’, ‘Tangled’, ‘Inside Out’ etc are not included in the list because they were rated as ‘PG (Parental Guidance). There are however many ‘G Rated’ films that are masterpieces in their own right. Below is a list of the top G-Rated movies ever. You can watch many of these best g-rated movies on Netflix, Hulu, or Amazon Prime. We start with a film that is perhaps the most underrated film on the list. Mulan is a 1998 animated action comedy musical drama that was produced by Walt Disney Pictures based on the Chinese legend of Hua Mulan. Mulan’s sick father is ordered to join the army to fight against the invading Huns. Unwilling to risk her father’s life, she disguises herself as a man and joins the army in his place. 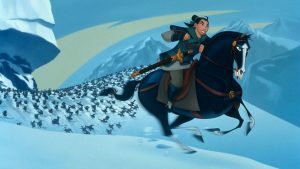 Mulan is a fantastic Feminist story that uplifting and inspiring. The titular character does not really fit the ‘princess mold’ that Disney films usually have but that’s the best thing about her. Ratatouille is a 2007 film produced by Pixar. 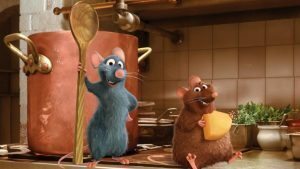 In this hilarious animated-adventure film Remy dreams of becoming a great French chef, but his family reminds him of one major hurdle: He’s a rat. Fate puts him in the city of Paris, ideally beneath a famous restaurant. Ratatouille features a great story with beautiful animation, witty humour and a cast of talented actors that brings the character to life. Pete Docter in his directorial debut brings these fantastic monsters to life. 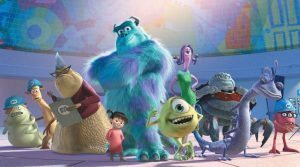 Sulley and his one-eyed friend Mike are shocked when a little girl wanders into Monstropolis, their monster world, and try their best to get her back to her room. With Billy Crystal, John Goodman and Steve Buscemi voicing your characters, you know its going to be a fun and hilarious film. The film possesses some intelligent and creative writing and will be enjoyed by adults too. Aladdin 1992 Walt Disney picture that follows a street urchin who is in love with a princess ‘Jasmine’. He is however not worthy of marrying her as he is not a prince. He finds a magic lamp that turns him into a prince, but first, he must face the evil Jafar. The songs in the film are catchy and cheerful. Two decades later they are still fun to listen to. The colour of the film is fresh and excellent visually. The best part of the film is however the late Robin Williams who’s unmatched charisma takes this film to new heights. An adaptation of the 1964 novel Charlie and the Chocolate Factory by Roald Dahl. 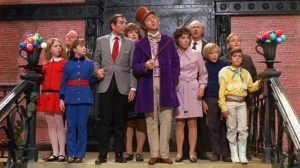 Willy Wonka, a factory owner gives 5 children a chance to win a lifetime supply of sweets. Charlie, along with four other children enter the factory. Disasters befall on each of the children. Roald Dahl manages to create a world that is purely imagination and fantasy. Gene Wilder as Willy Wonka is one of the most memorable performance ever. The film is fun, catchy and will take you on a roller coaster ride. Special shoutout to the production and costume designers. Loosely based on P.L Traver’s book series, ‘Mary Poppins’ is a 1964 American musical fantasy film directed by Robert Stevenson and produced by Walt Disney. 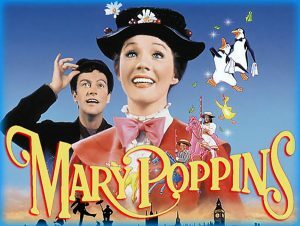 Marry Poppins an angelic nanny brings joy and happiness into the lives of Mrs Banks and her two mischievous children.Like any other musical masterpiece, Mary Poppins consists of amazing visuals, dance sequences and music. With all its joy and fun, the film is also moving and inspiring. Mary Poppins took home five Oscars including best actress, editing, original score, original song and visual effects. Babe is a 1995 film about a piglet soon after his separation from his family, finds himself on a strange farm. He starts to befriend other animals in the farm and soon fights convention to become a sheep dog. There are so many things that could’ve gone wrong and turn this into a ridiculous joke. But the superior special effects and intelligent writing makes Babe one of the best G rated films you will ever see. Voice characterisation in the films are fitting and funny. The film is not only for kids and will surely strike chords with adults too. Mankind has abandoned earth because it has become covered with trash. ‘WALL-E’ a small waster collection robot who is responsible for cleaning the trash on Earth. He falls in love with a new robot called ‘EVE’ and has also inadvertently stumbled upon the key to the planet’s future. 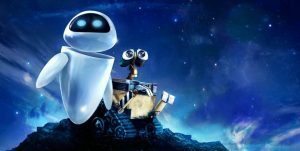 ‘Wall-E’ is a heartwarming love story combined with a great sci-fi tale that is touching and entertaining. The animation is colourful and vivid and the sound effects are equally amazing. ‘Wall E’ as a character is extremely loveable. 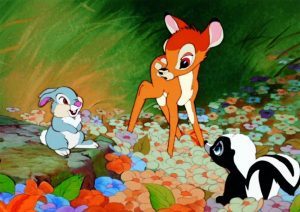 Bambi released in 1942 is the fifth Disney animated feature film. The titular character ‘Bambi’ is a young deer who is born as ‘next Great Prince of the Forest’. Like his father, he learns about friendship, love and how to protect his near and dear ones while living in the forest. Bambi is a very character focused film which might prove disappointing for people looking for a well developed plot. It is a beautiful story of the jungle nonetheless. Bambi is a very touching and emotionally fulfilling coming-of-age story. 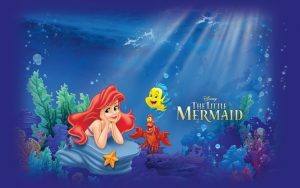 A rebellious 16-year-old mermaid Ariel is fascinated with life on land. On one of the trips on shore, she falls in love with a human prince. Determined to be with her new love, Ariel makes a dangerous deal with the sea witch Ursula. The Little Mermaid was Disney’s comeback film after a series of consecutive lacklustre years. With enduring humour and a touching story, Disney certainly proved to have gotten their mojo back. When a tornado rips through, Dorothy is swept away from a farm in Kansas to a magical land of Oz. She must no embark on a quest with her new friends to see the Wizard who can help her return home in Kansas. 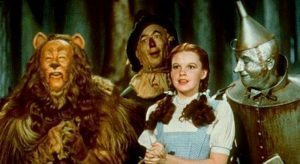 Definitely one of the most groundbreaking film of all time, The Wizard of Oz is one masterpiece everyone should watch. Revolutionary visuals and editing accompanied by neat and daft storytelling makes this one of the greatest. Finding Nemo is a humorous and emotional 2003 film from Pixar studios. Nemo and his father are separated unexpectedly, and the former is taken far away from his ocean home. Nemo’s father now embarks on an incredible journey to find his son. 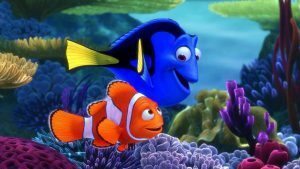 Finding Nemo is a gem of a film with humorous smart writing and great performances. The visuals are flawless and the story is heartwarming. What more can you say. 15 years later it has stood the test of time and has proven to be a timeless classic. 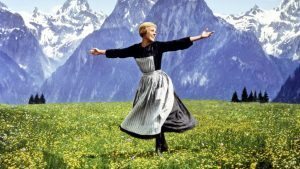 Sound of Music sure does bring the hills to live. The 1964 film follows an aspiring nun who is sent as a governess to watch the children of the a retired naval officer. The Sound of Music went on to receive five Academy Awards, including Best Picture and Best Director. With some of the most memorable songs in film history, ‘The Sound of Music’ will surely bring joy to your hearts. The cinematography in the film is striking and the surrounding scenery is equally breathtaking. Julie Andrews as the lead is mesmerising. Probably the most iconic ‘Animated Film’ ever created, The Lion King is a masterpiece of a film. What you can say about great movies is that, you not merely watch them but you experience them. 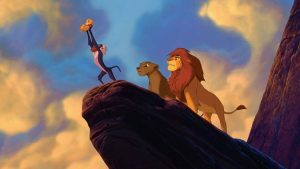 The Lion King which follows a young cub who is tricked into thinking that he was responsible for the death of his father is surely an experience. The film echoes of Shakespeare with the film reminding you of the plots of Hamlet and Richard III. Lion King is emotionally stirring and exquisitely animated. Lion King stands on top of Disney’s Pantheon of Animated films and is surely will forever be remembered as a classic. One could argue with Toy Story being on top of the list. But when you look at the series as a whole and how consistent and flawless it is, there is not much you can argue upon. 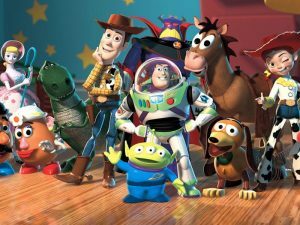 Every film in the Toy Story series is a masterpiece. In my opinion only Toy Story stands shoulder to shoulder with ‘The Lord of the Rings Trilogy’ in the list of greatest trilogies ever made. 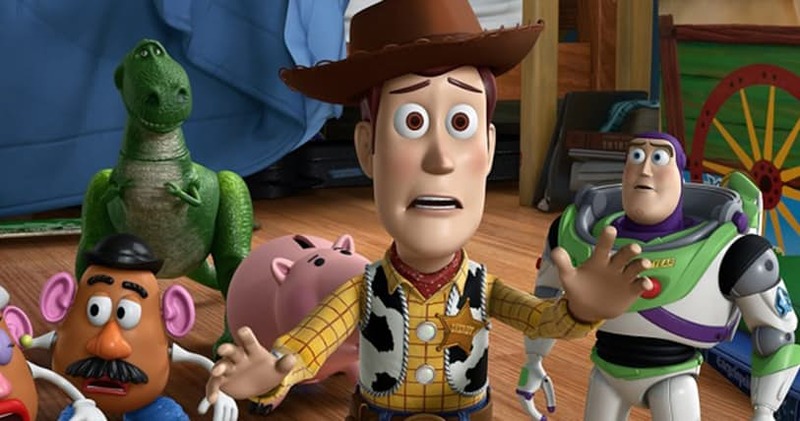 Every character in the series is memorable, especially the duo of Woody and Buzz. There is not a dull moment in the movie. By the end of the trilogy the characters become your friends, who you long for and want revisit every now and then.